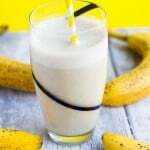 Frozen banana smoothie recipe – this dairy free banana smoothie recipe is packed with nutritional value thanks to the fibre, potassium and vitamin c levels. There’s a sense of gratefulness when the weather transitions from icy cold to warm, hot sunny days. I also like the vibe which summer evokes, people seem to smile more and greet one another. It’s such a nice atmosphere which is why I love summer time more than any other season because people are generally more positive and radiant such warmth. 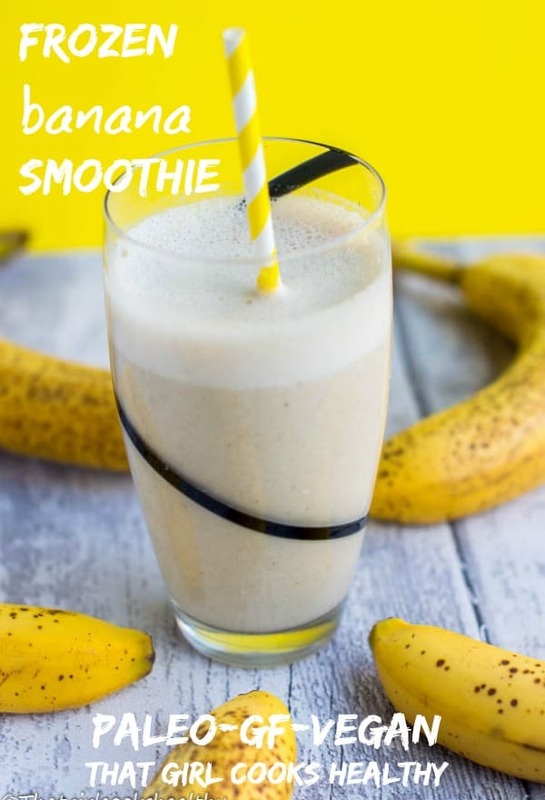 If you want an extra thick and creamy smoothie then key ingredient is frozen bananas. Once I learnt how the frozen bananas has the ability to turn a box standard smoothie into a “thickie” it was a complete culinary game changer. 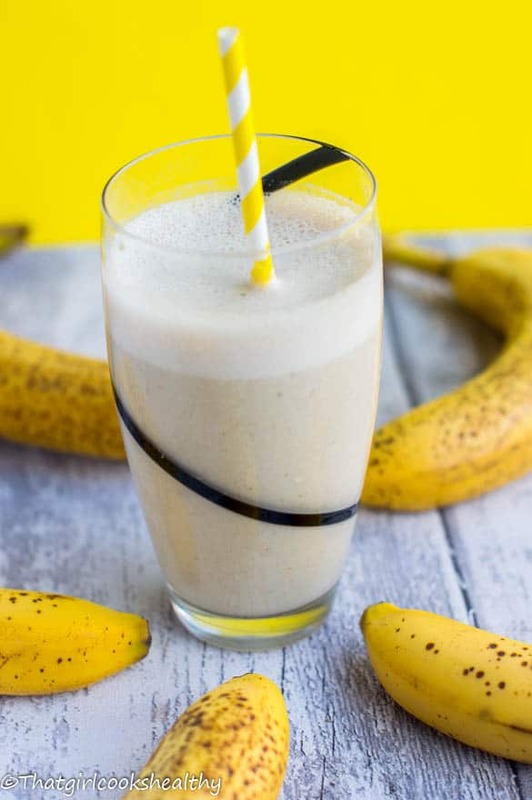 The secret to this banana smoothie is adding a small quarter of apple, there’s something about adding an apple to the mix which really enhances the taste. The walnuts provide additional healthy fats and protein too. 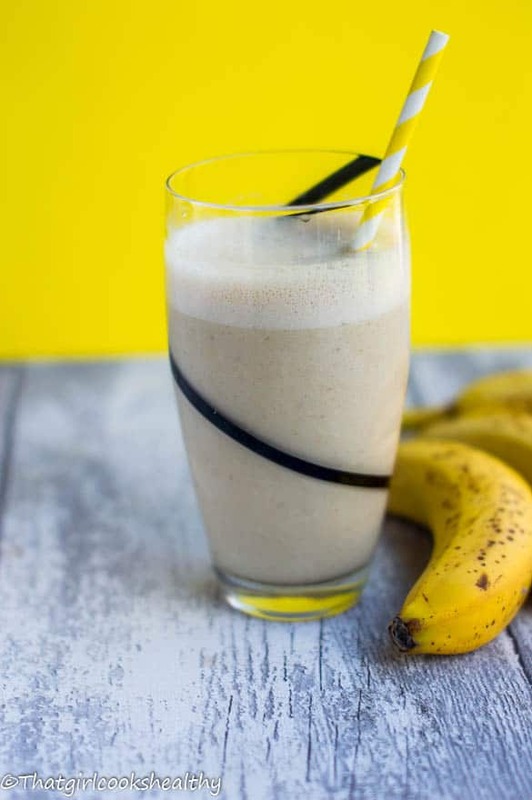 This easy frozen banana smoothie recipe is suitable as a meal replacement or simply drink at your leisure to optimise good health.